The next evening, “Hardhome”—the eighth episode of the fifth season of Game of Thrones—aired. 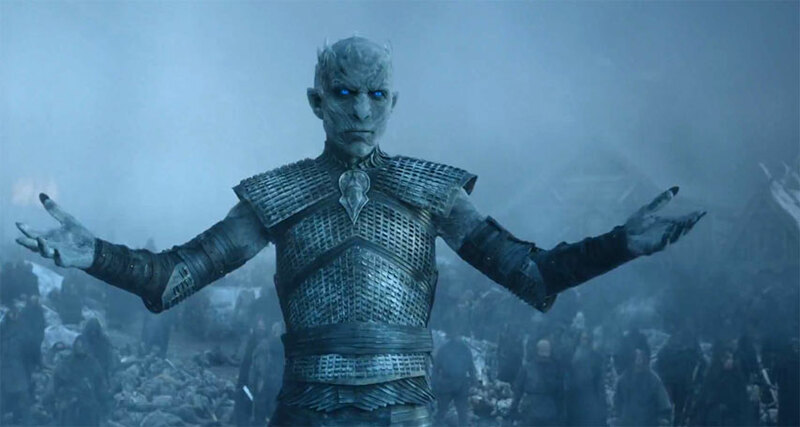 At the end of the episode, the Night’s King raises his arms and reactivates the just-killed (photo above). Bob says this scene shows the effects of iON—the process of mass die-off and then the emptying of the Guf which iON explains in the audio below. iON: And this is where we are, verse 11. Raising the arms, activation of chromosome 14.